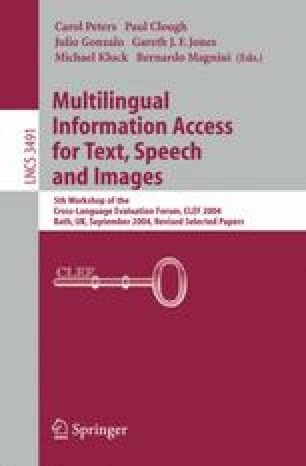 This report describes the work done by the QA group of the Language Technology Lab at DFKI, for the 2004 edition of the Cross-Language Evaluation Forum (CLEF). Based on the experience we obtained through our participation at QA@Clef-2003 with our initial cross-lingual QA prototype system BiQue (cf. ), the focus of the system extension for this year’s task was a) on robust NL question interpretation using advanced linguistic-based components, b) flexible interface strategies to IR-search engines, and c) on strategies for off-line annotation of the data collection, which support query-specific indexing and answer selection. The overall architecture of the extended system, as well as the results obtained in the CLEF–2004 Monolingual German and Bilingual German/English QA tracks will be presented and discussed throughout the paper. The work presented in this paper has been funded by the BMBF project Quetal, FKZ 01 IW C02. Many thanks to Jumamurat Bayjanov and Olga Goldmann for their implementation support.